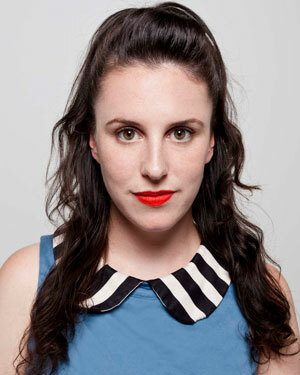 Anna Barnes is a Melbourne-based playwright and author. She won STC’s Patrick White Playwrights’ Award in 2012 and developed her new play, Lethal Indifference, through our Rough Drafts workshop program. Anna also works in PR and communications. And it was her work at a family violence legal centre that led her to the story of Lethal Indifference. Anna, what came first: the play or the job? Were you working at the family violence legal centre as research? No, that wasn't the case at all. I’d been doing communications work for a little while part-time and I'd done some fundraisers for family violence shelters. One thing led to another and I was offered a job in the sector. I've worked in places before where people say, "You should write a play about that!" but I’d never done it. And it wasn’t my intention with this job either. I guess sometimes you just have stories come along that won't go away. That was very much the case with this story. I tried very hard to make it go away. I wanted someone else to write it – I really wanted a Four Corners or a journalistic kind of take on this story. But it just wouldn't go away. So, I ended up writing it and that's how Lethal Indifference came about. It’s the story of a woman who died. I happened to be at the reading of the coroner's report, and how she ended up being murdered by her partner was a story I just couldn’t forget. I was so shocked by what had happened in this case, for many reasons. Partly because the woman was incredible; she was clever in the way she had manoeuvred out of a really violent relationship. And it’s devastating that, despite how clever she was, despite her doing all the “right things”, she still ended up in this horrible fate. The media weren’t interested in telling this story. So I ended up having to do it myself. The play is structured as a kind of detective story with twists and revelations. Was all that in the coroner's report or did you have to fill it out? No, it was definitely all there. It generally is in all coroner's reports. This is no different than many other family violence victims who have been murdered by their partner. These are devastating tales of survival. Women put so much on the line to survive, to make sure they and their children are safe. I originally thought about trying to write a traditional play based on the coroner’s report with characters and scenes, but it all just felt so inauthentic. I kept returning to my own experience of telling friends about these kinds of stories at night over a bottle of wine. I couldn't stop telling these stories because I wasn't seeing them being reflected in the news; it wasn't reflected in what people were talking about. And I wanted people to know what was happening and to understand it in a way that wasn’t just about what a woman is dealing with privately. I wanted people to realise these stories are happening right under their noses. It's happening in your apartment block, it's happening everywhere. It's not uncommon. It's not an issue of one race or one class – it's a very Australian issue. The statistics continue to show it affects all classes equally, all races, and that was part of the story I wanted to tell. You've got Emily Barclay playing you. Do you know Emily well? Or what was it like meeting her? It was really nerve-wracking at first because you have a character that is you and the idea of someone playing you – well, it's a pretty scary thought. I'd seen her work, and I thought she was just incredible, but when I first met her we had this amazing connection. She had Bikini Kill tattoos – my favourite band! – and the first night that we met we ended up having dinner and talking for about 5 hours. It made that situation so easy. She is such a talented, incredible woman. Pick one up at the theatre for only $10.